Preheat the oven to t180 C. Separate 3 eggs (you need 4 eggs in total) and beat the egg whites until really stiff (add a pinch of salt to speed up the process). No need to wash your mixer, you can go straight ahead and start mixing the 3 egg yolks and the left over whole egg together in a separate bowl with 120 g sugar until you get a foamy mousse (about 5 min). Sift in 75 g self-raising flour and stir it in, followed by the beaten egg white. Cover a baking sheet with tin foil (fold up the sides of the foil a bit to create an edge) and pour in the mixture. Bake for 10 min until lightly golden and it springs back when you touch it. In the mean time, take another piece of tin foil and sprinkle it with a bit of sugar. Take the bake from the oven and turn it upside down onto the prepared foil. Gently peal of the layer of foil from the bottom. Spread your favourite jam all over (I used raspberry jam), leaving a gap along one of the long edges. Sprinkle with a bit more sugar and start rolling it up from the opposite long edge. Put it on a serving plate with the seam at the bottom and dot with a few raspberries (you can also use glace cherries or candied fruit). Enjoy while listening to Raspberry field by Etude House. I recently visited a dear friend in Berlin for the weekend and stumbled upon the Ampfelmann souvenir store. That’s the figure used in traffic signs in the old eastern part of Berlin to tell pedestrians to cross or stop. It comes from a time where everyone seemingly wore a hat and it’s become a symbol of the city of Berlin. You can’t begin to imagine the number of different items and souvenirs they can come up with based on one character! Of course, like cookery stores and bookstores, this is a dangerous kind of store to let me loose in… My boyfriend already avoids the “ohs and ahs and I want that’s” by waiting calmly outside. 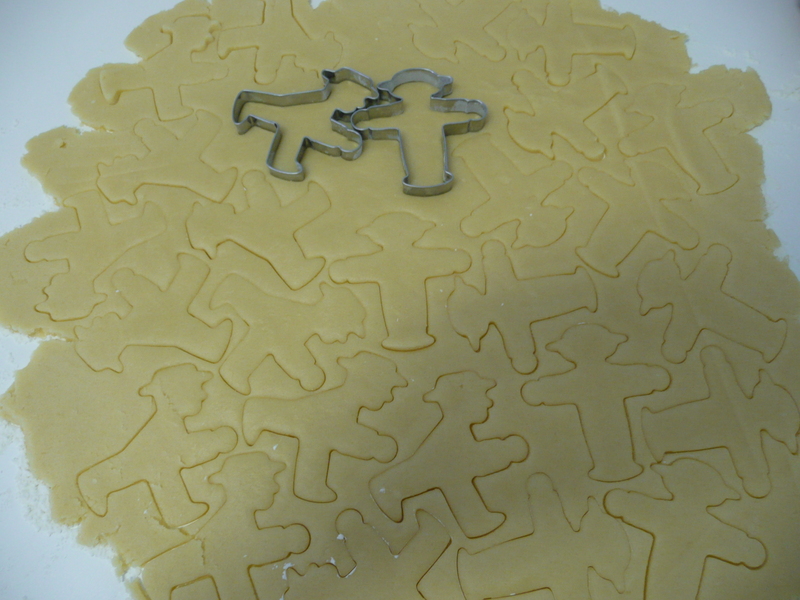 This time I stumbled on the ideal item: a cookie cutter!!! And this is the result! 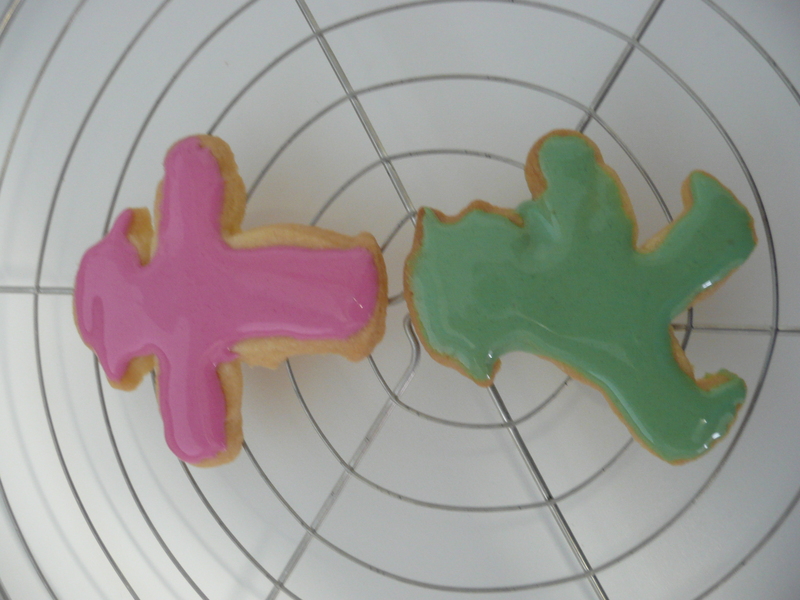 As a recipe, I went for sugar cookies from The Hummingbird Bakery Cookbook. Preheat the oven to 160 C. Mix 200 g softened butter with 280 g caster sugar and 1/4 tsp vanilla extract until light and fluffy. Add 1 egg and mix well. Add 400 g plain flour, 1/2 tsp cream of tartar (if you don’t have this, I think you can replace it with 1 tsp baking powder instead) and a pinch of salt and mix well, but don’t over mix. The dough should be light, soft and easy to handle. If it’s a bit crumbly, just bring it together with your hands. 15 min. Check on them regularly, they should be slightly golden on the outside and paler in the centre. Remove from the oven when cooked through and leave to cool slightly on the tray before moving them to a wire rack to cool completely. Decorate with royal icing or make the icing yourself by mixing 1 egg white with a squeeze of lemon juice and enough icing sugar to create a thick paste (you’ll need about 250 g). Add a drop of food colouring for a fun effect. And don’t wait too long to start icing, otherwise your cookies will be eaten already! Enjoy! 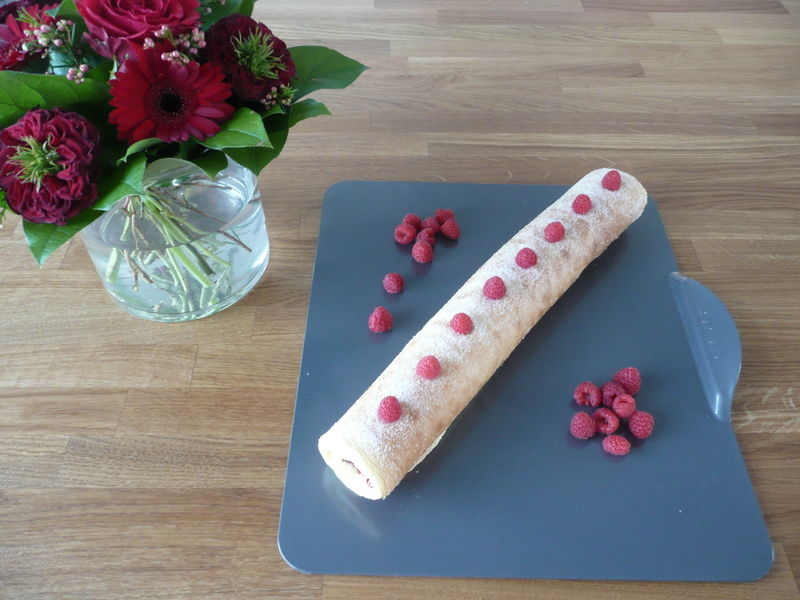 This is my boyfriend’s favourite cake and a really easy one too! It comes from one of my most loved cookbooks: A second helping by Alexa Johnston. I bought it as a souvenir on holiday in New Zealand. We went there for a month so we only could pack the absolute essentials. That also meant we couldn’t buy any heavy souvenirs as we had no extra space. So we left our Belgian chocolate with our friends over there and came back with the cookbook instead. The book includes traditional recipes all with a story attached and they are all equally delicious! This cake has an intense lemony tang and it’s not too sweet. Preheat the oven to 160 C and lightly grease a medium-sized loaf tin (about 22 cm x 11 cm). Cream 115 g softened butter with 150 g sugar until light and fluffy. Beat in the zest of 2 lemons (you need about 2 tsp, but if you love lemons as much as I do, a bit more will never hurt). Then add 2 eggs, one at the time, beating well after each addition. Use a spoon to gently fold in 180 g of self-raising flour in about three lots (or use plain flour and add 1 tsp of baking powder – I never bother to sift my flour, this is a lazy recipe after all). Alternate it with adding 110 ml milk, also in three lots. Pour the mixture into the prepared tin and bake for about 40 min. until a skewer inserted in the middle comes out clean. The cake will have a long crack running along the tops and should be just pulling away from the sides of the tin. Remove from the oven and leave it in the tin. Combine 70 g of sugar and the juice of the 2 lemons (you need 2 tbsp, again, more can never hurt) and spoon this mixture over the top of the still hot cake. It will soak in a little and run down the sides, leaving a thin crust of sugar on the top. Finish cooling in the tin. 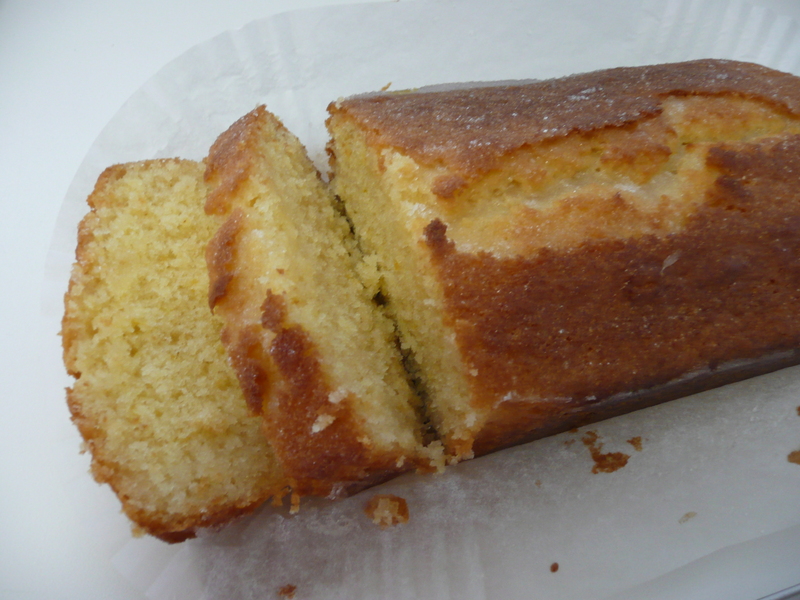 If you want, you can freeze the cake: wrap it well in waxed paper and tin foil first. This cake will easily last you the best part of a week, so you have your daily dessert all ready! If you can avoid eating it all at once that is… Enjoy!